TD 354T / TD 388L — Monday, Thursday 6:00 p.m.–9:00 p.m.; Friday 2:00 p.m. – 6:00 p.m. Train your eye, develop you painting skills, find your voice. This course is designed to increase one’s understanding of quickly rendering an image of the human form from life. We will focus on line, form, weight, value, and structure. Students will work with various painting tools, methods and marks to create depth, interest, texture, and balance within their paintings. They will study and render a variety of fabrics and how they drape on the human figure. Students will paint for 10 hours per week from life with direct instruction. 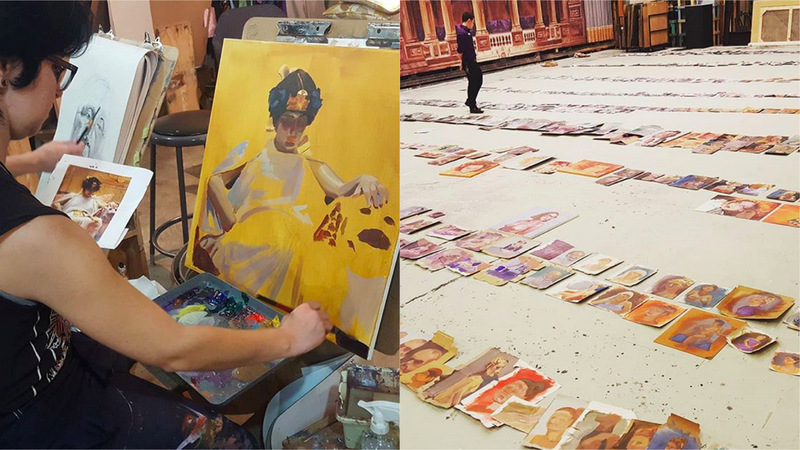 The course is designed to develop confidence in color mixing, composition, and an increased command of the language of painting.